Mr. Thomas O. McManus, 84, of Rensselaer Falls, passed away at his home on Wednesday, November 21, 2018. Thomas was born on January 23, 1934 in Potsdam, a son of the late Harry F. and Nora (Connelly) McManus. He graduated from Potsdam High School and attended both Canton and Potsdam State Colleges. Thomas also served proudly in the United States Army. He was married to Catherine E. Howard, whom predeceased him and later married Wilma Besio, whom predeceased him as well. Thomas worked in many fields throughout his working life, from running his parent’s diner in Potsdam, he was a member of the local Iron Workers Union, worked for Corning Incorporated and retired from Missert’s. Thomas enjoyed wood working, road trips, cooking and baking. He was the “King of Chocolate Chip Cookies”, he loved the Amish community and was a self-taught guitar player. He excelled at anything he put his mind to. Thomas was a communicant of St. Raphael’s Church in Heuvelton, and was a Knight of Columbus. But, far greater than his guitar playing and baking, was his sense of humor, for which many will remember for years to come. Thomas is survived by his daughters, Kelly Friot of Heuvelton; Chrissy Sibbitts of Loveland, CO; Tami (Bill) Hayes of Freeville, NY and Carrie (Gary) Clifford of Gouverneur; a step-son Billy (Toni) Besio of Colton; grandchildren, Darren, Nick and Daniel Friot, Sean, Dylan and Mickala Sibbits, Evan and Brandon Hayes, Ashley Clifford, Katie Riley and Hayden and Harley Besio. Also surviving are 11 great-grandchildren, dear friend, Victoria Rosenholz and many nieces and nephews, whom he loved so much. He is predeceased by his siblings, Harry and Bobbi McManus, Helen Johnson, Betty Moore and Mary McManus in infancy. Contributions in his memory may be made to St. Raphael’s Church. P.O. Box 377; Heuvelton, New York 13654. Calling hours will be held on Monday, November 26, 2018 from 2:00 pm to 4:00 pm at the O’Leary Funeral Home in Canton; followed by a funeral service at the funeral home at 4:00 pm with Father Kevin O’Brien, officiating. Burial in St. Mary’s Cemetery, Potsdam will be held in the spring. 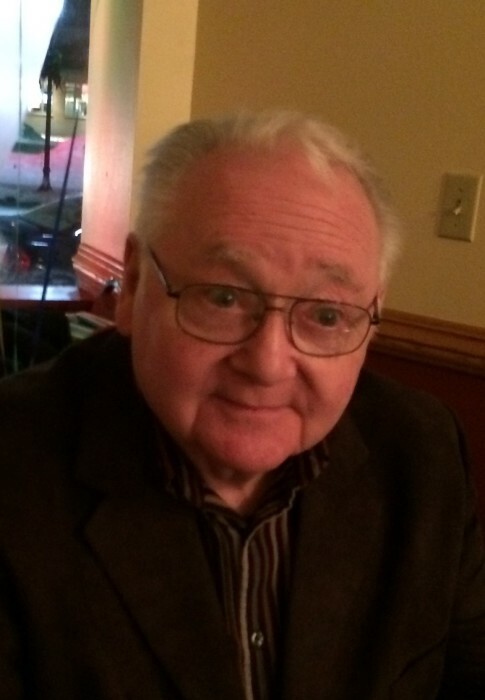 Arrangements for Mr. Thomas O. McManus are under the care and direction of the O’Leary Funeral Service of Canton. Memories and condolences may be shared online at www.olearyfuneralservice.com.